Get comfy on your office chair / easy chair / toilet. (I know some of you *cough* Chris *cough* read my blog from there). It’s time to recap the last four days’ worth of activities here in Arizona. 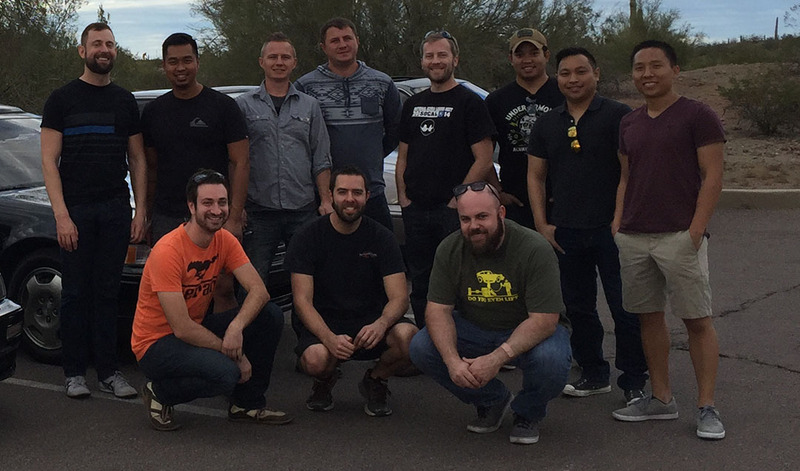 I had friends visiting from the east coast for a few days and our schedule was packed with activities, most of which revolved around automotive stuff. Are you surprised? I doubt it. Chris was one of my guests. 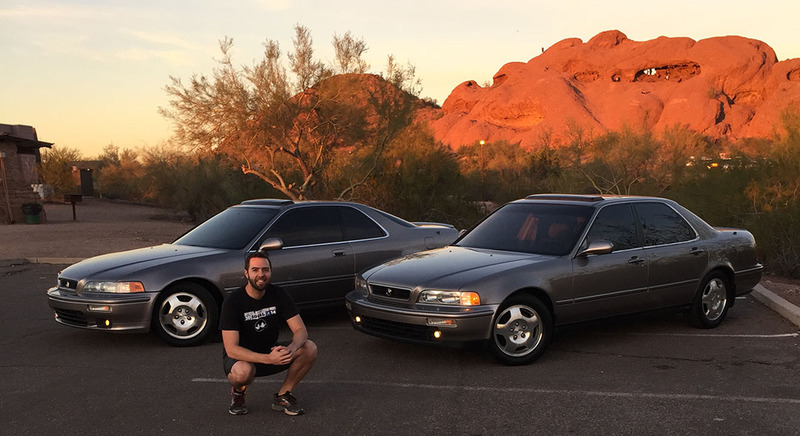 He’s the guy with a ‘twin’ Legend to mine who drove to last year’s Houston Nat’l Acura Legend Meet (NALM) to meet up with me there. I reserved for him the opportunity to roll 150,000 in my car when he flew in for his visit from Baltimore. His request specifically was a “sunset” rollover, so that’s what we had. 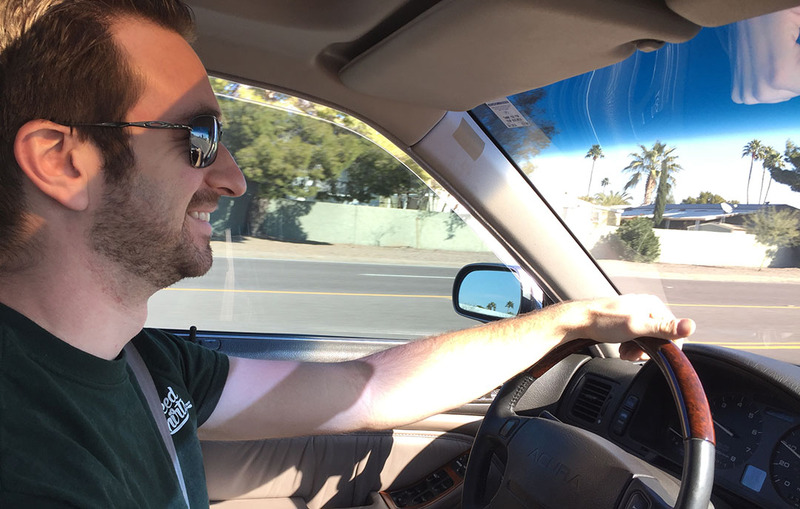 Around 5:30 p.m. on southbound Galvin Parkway in Phoenix, he hit the 150,000 milestone in my car and Thursday evening we got a few pictures (duh!) to commemorate the occasion. That car has only been driven 18,000 miles in the nearly 8 years I’ve owned it. 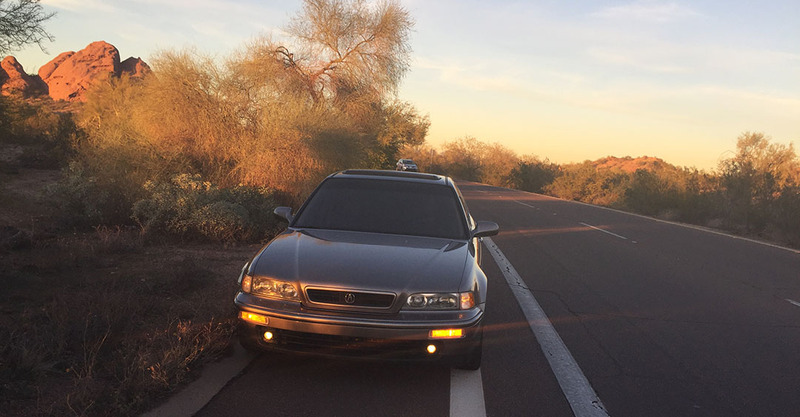 After rolling into Papago Park for a more appropriate photoshoot. 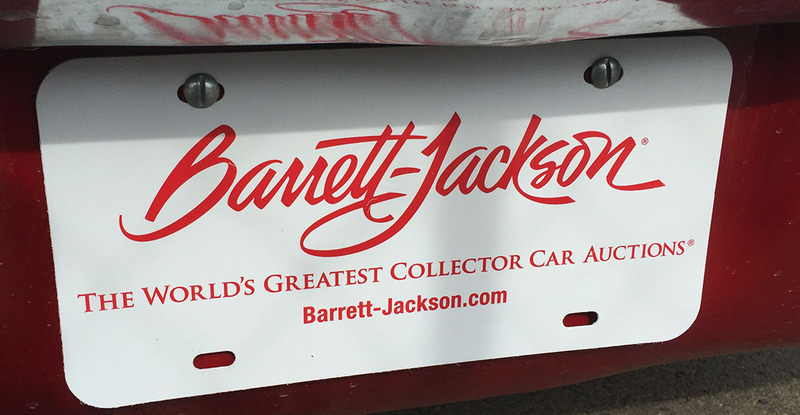 On Friday, Chris and I spent the entire day at the Barrett-Jackson collector car auction in Scottsdale. This place was a candy store for any automotive enthusiast. Just one drawback: These were some very expensive sweets. 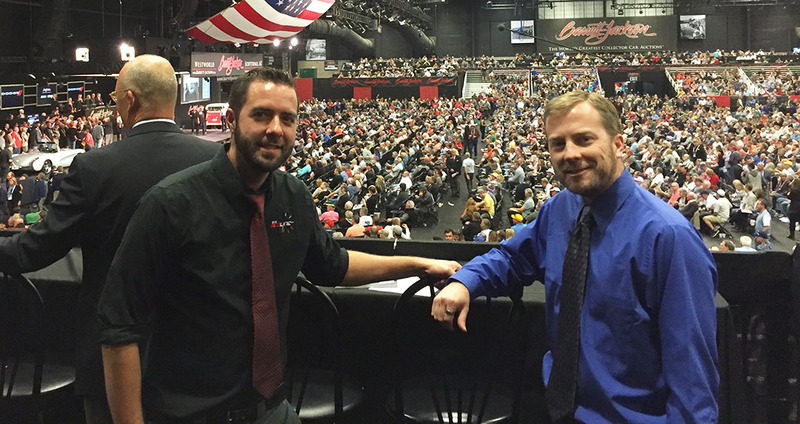 I saw cars routinely crossing the auction block for 6-figure pricetags, and each time a vehicle met that amount, the spectating crowd would cheer and clap in excited support. 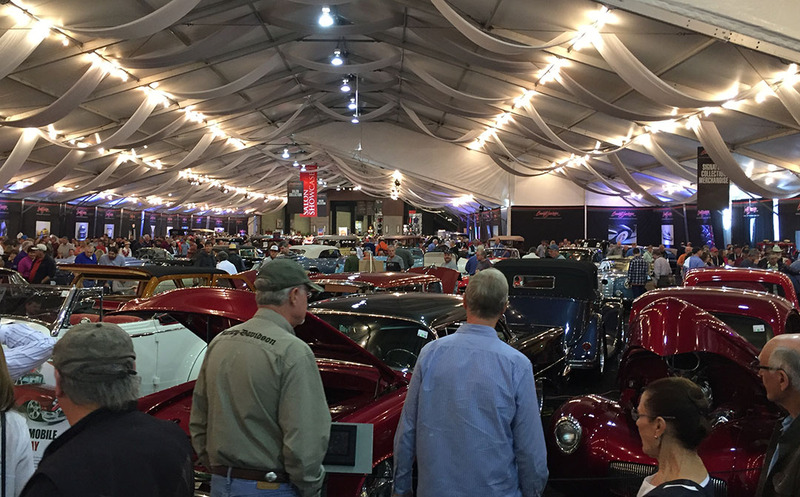 When Chris and I weren’t watching the auctions, we were browsing the automobilia, tire-kicking the classics inside & out, chowing on footlong sausages from the food trucks, and PEOPLE-WATCHING. If I had a dime for every guy I saw with a mullet and a “Camaro SS” cutoff T-shirt, I could have probably bought a Camaro SS! I’ll spare the details of the dozens of cars that caught my eye as we made the rounds, but I did really enjoy a few things, like this old Cadillac. 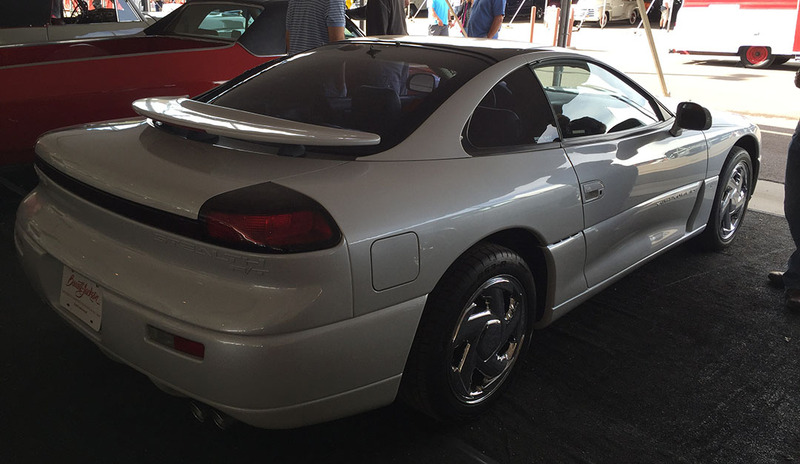 This pearl white Dodge Stealth only had 55,000 miles on it. 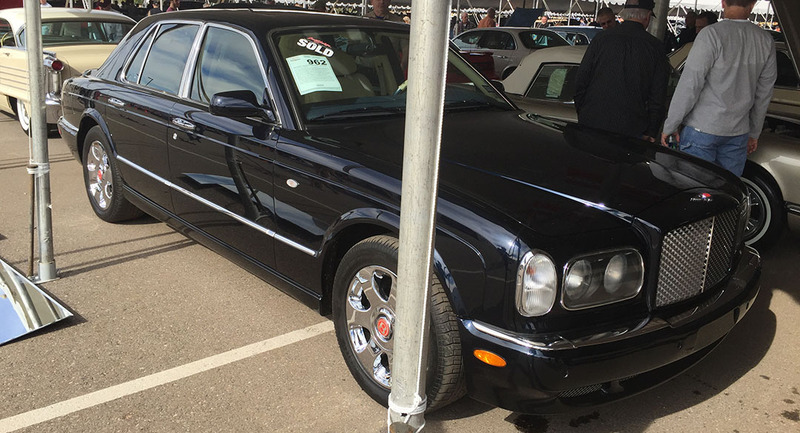 A 2000 Bentley Arnage with <50,000 miles, sold for $30,000. You’d look like a millionaire for $30k! There were, of course, plenty of tailfins in attendance, like the ones on this 1958 Buick. The front ends of those cars are equally shiny. 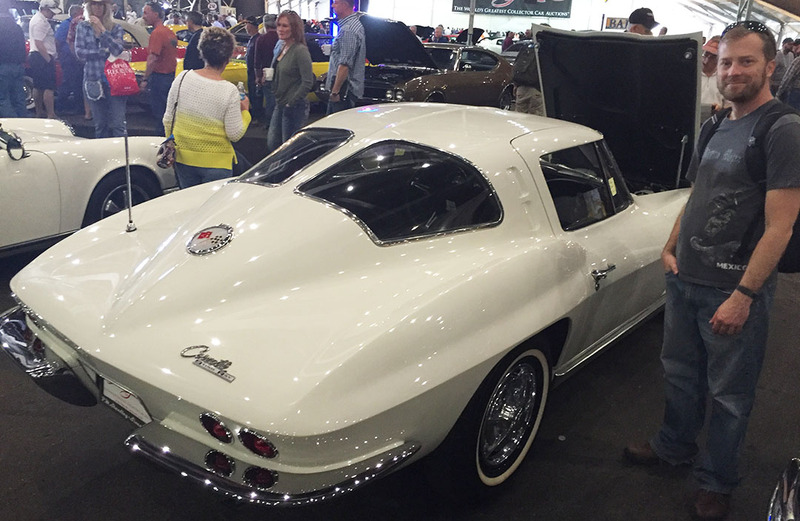 This one was for Kevin – a rare 1963 Chevy Corvette split-window coupe. But the real draw was Lot #3007: a 2017 Acura NSX, VIN 001, scheduled for auction at 7:30 in the evening. So, Chris and I made our way to Skybox #15 which I’d been given tickets to. The Skybox was a flight of stairs up, and overlooking the left side of the stage. 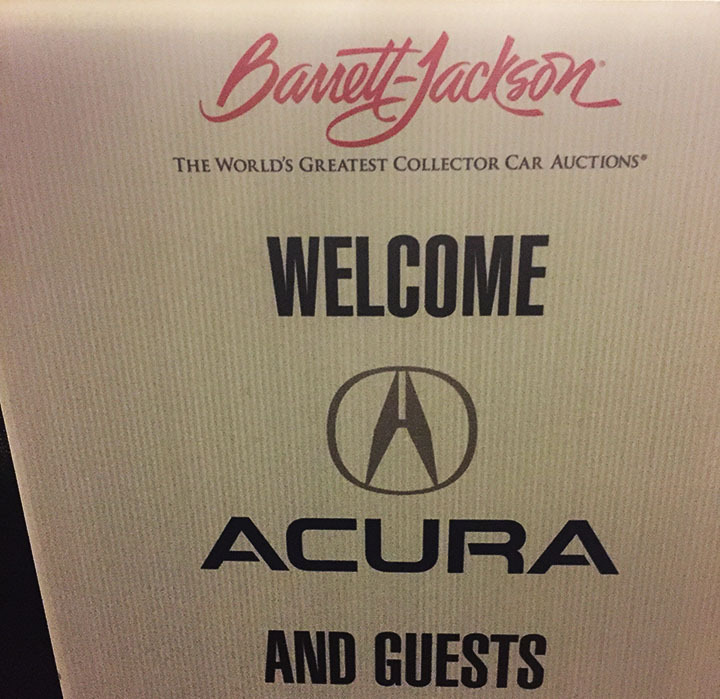 Senior leaders from Honda & Acura started filing in by around 6:00 p.m. in anticipation of the big event. 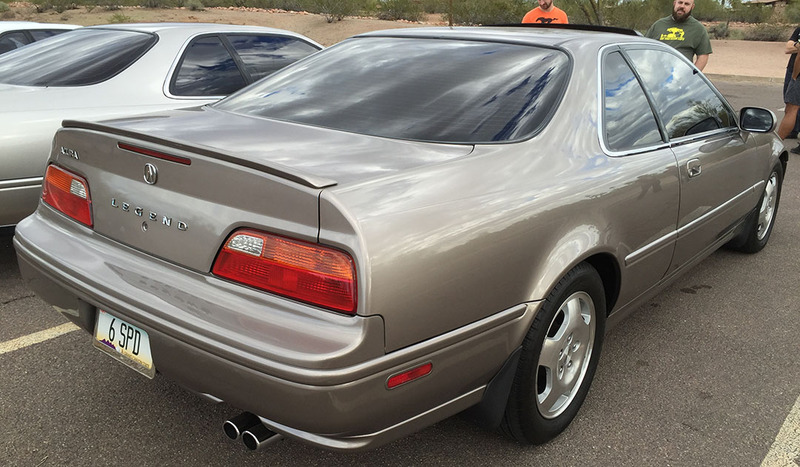 Jay Leno’s Ford F-150 pickup truck went for something like $200,000, and a Chevy Camaro “COPO” Edition went for over $300k, so I felt like Acura would be well positioned to get a good price for its new NSX. What I didn’t expect, though, was just how crazily the bids would climb. 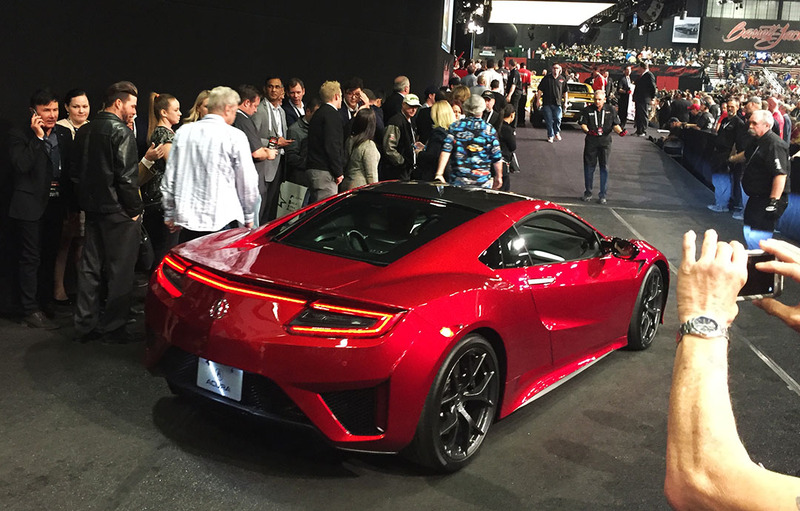 Moments before the “athletic red” NSX made its way up onto the stage, all the Acura folks were ushered out to accompany it. Chris and I were about the only people left in the booth to watch from that area. A short video introduction played on the screens flanking the auction stage. All proceeds for the new NSX were to benefit two charities, the Pediatric Brain Tumor Foundation and Camp Southern Ground. At the blink of an eye, the bids were already at $600,000. Then a million. 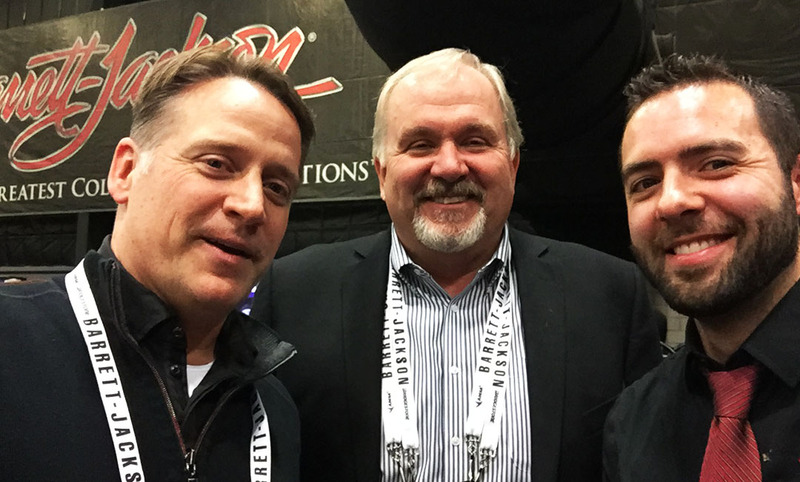 More perks were thrown in – special ride-alongs at the Indy 500, backstage passes to a concert, yada yada. Slowly the price crept one more time to $1,200,000 and then it capped off. The auctioneer’s gavel hit the podium and the car was SOLD to Rick Hendrick, founder of Hendrick Automotive group. Hendrick has been known to buy similar cars for similar prices. Apparently he paid $1M for a Z06 2015 Corvette not long ago. At least he spends his money on fun things! 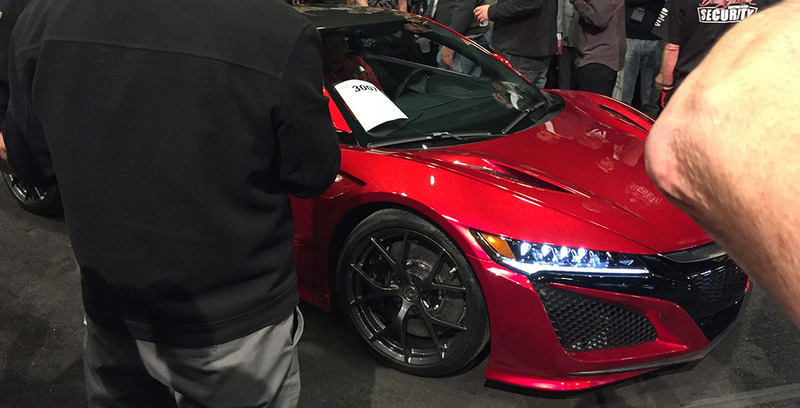 Hendrick will be customizing his future NSX in the coming weeks and months. After all the one driven across the auction block was in fact a pre-production car and not destined for sale to the public anyway. 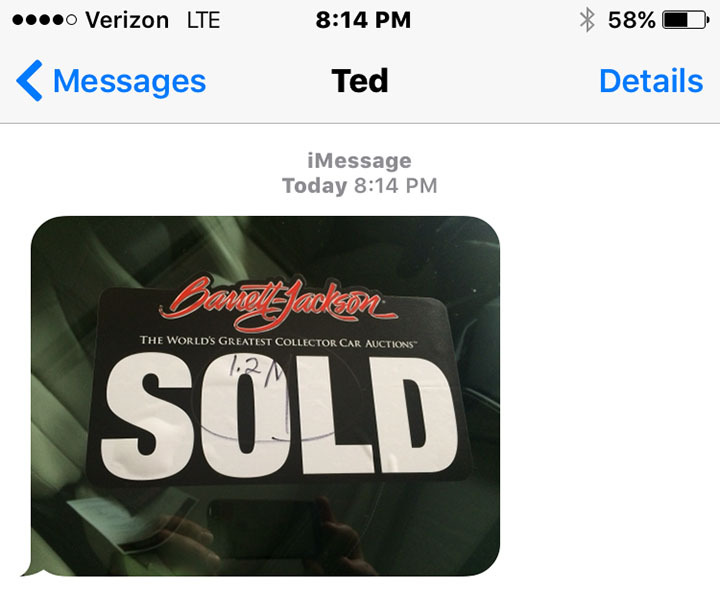 Text from Ted Klaus showing the SOLD sign with $1.2M written in sharpie across it. 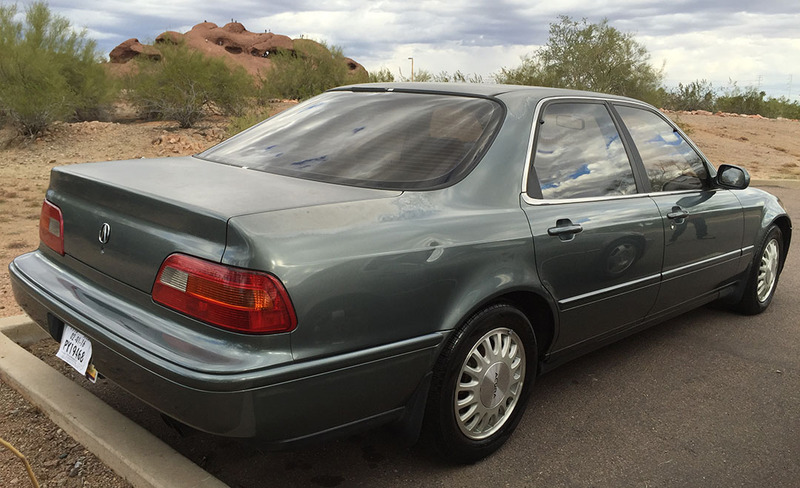 That brings us to Saturday, when we finished working on some maintenance on my 1993 Acura Legend L sedan. 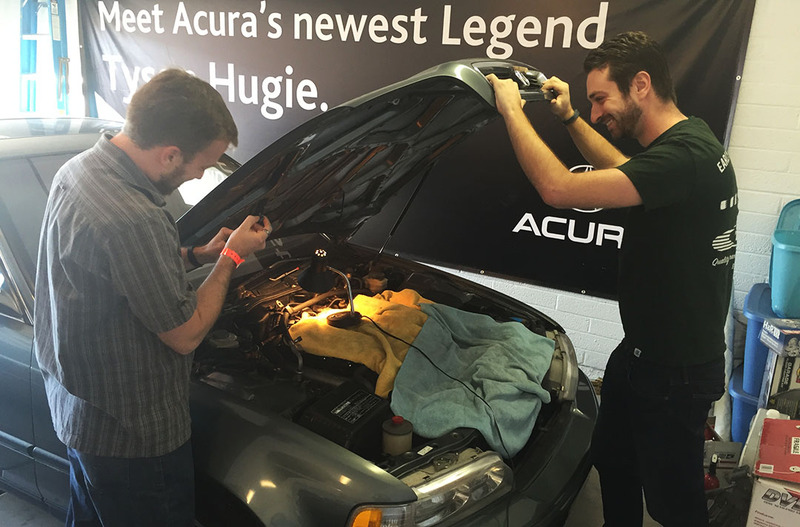 By this time, my friend Jake had flown in from Virginia so he lent us a hand installing some hydraulic hood struts. 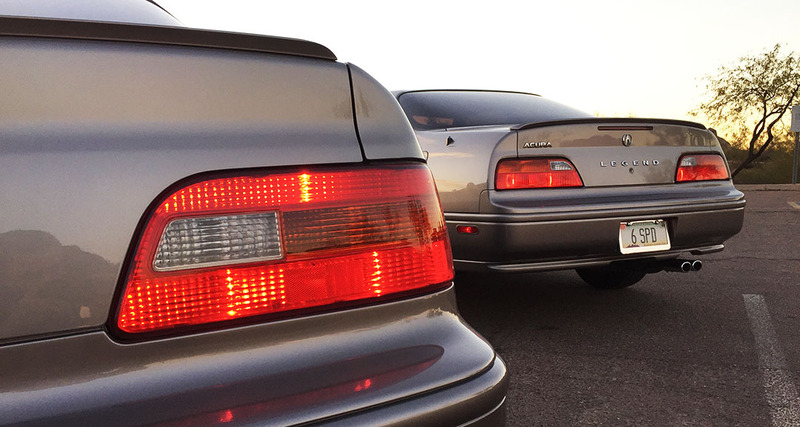 Soon afterward, we hit the road in the 1994 Legend GS and the 1992 NSX for a 100-mile round-trip drive to Tortilla Flat, one of my favorite destinations in the region. Slow-moving traffic and less-than-optimal road conditions kept us from really pushing the limits of the cars too far, but we had a great time enjoying the perfect weather and soaking up the scenery. 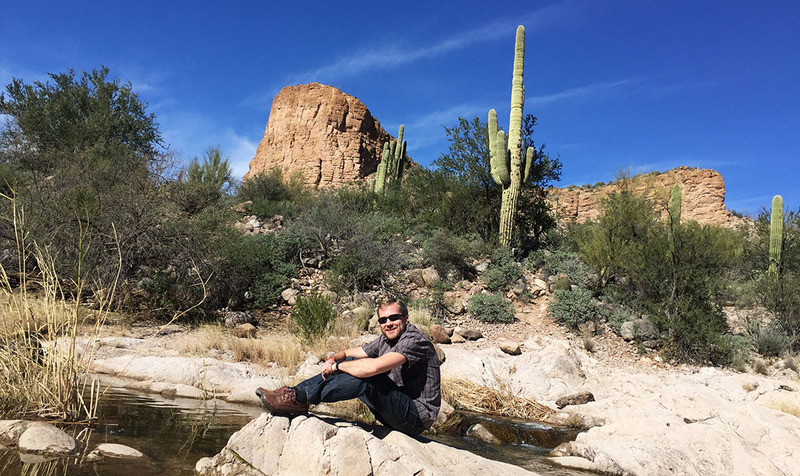 Saguaro cacti dotted the landscape – something my east-coast friends don’t get to see much. 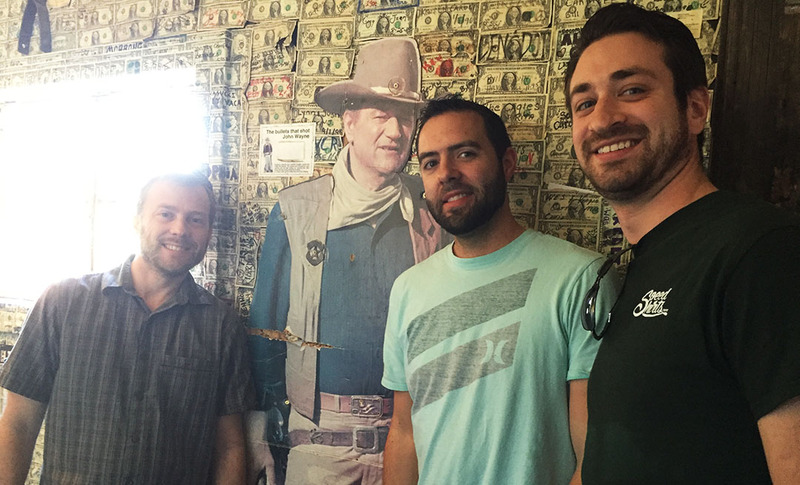 We dined at the saloon-style restaurant and then made our way back to the Scottsdale area. Here are the pics from that day. 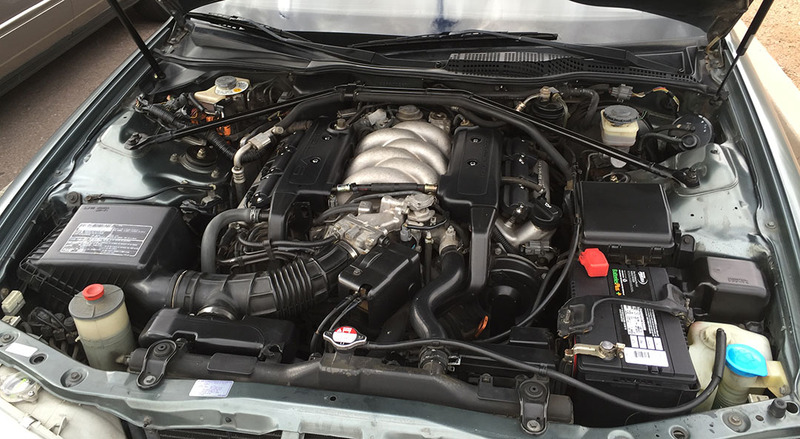 Original intake installed – I threw away the aftermarket Ebay setup that the car came to me with. Jake taking the wheel of the Legend GS. As a BMW guy, he appreciates a car with nice handling! 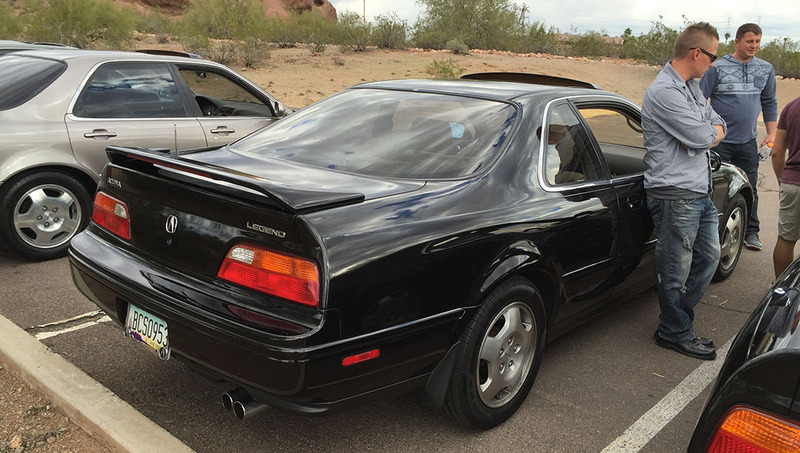 Sunday morning, I had a brunch spot in mind so we took the Legend coupe to downtown historic Tempe, Arizona. It turned 541,000 miles on the way there, and Jake captured this picture from the backseat, of me capturing the milestone. Documentation of documentation! 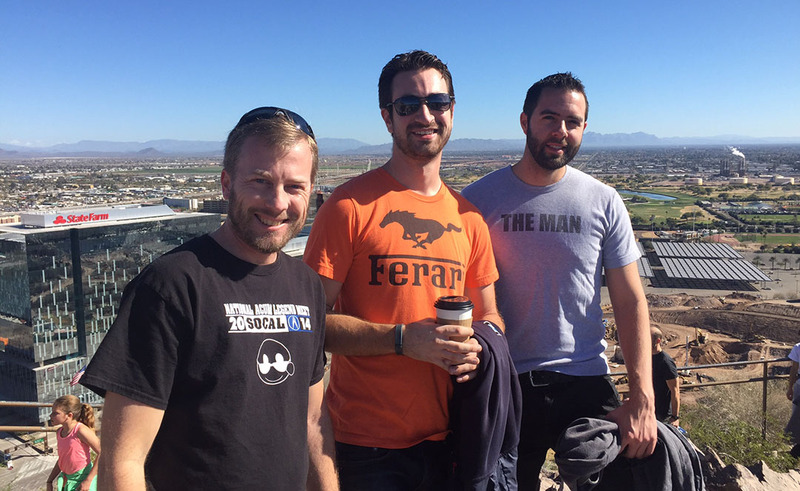 We burned off a few of our breakfast calories by hiking up ASU’s “Hayden Butte” to get a nice view of the cloudless winter day. 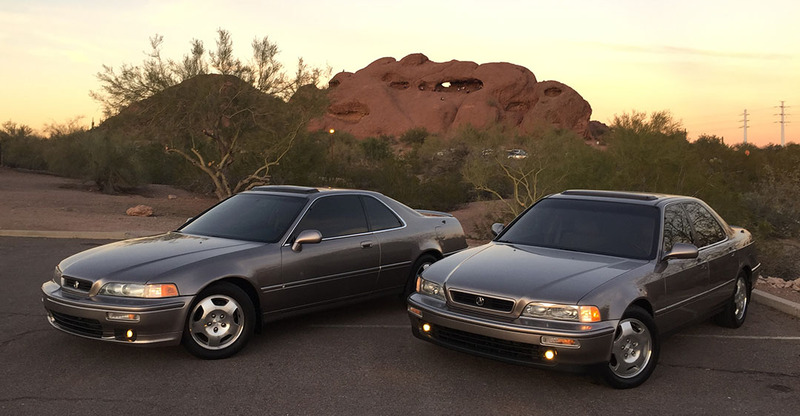 That afternoon, it was Legend-mania as we made our way to a Phoenix area meet at Papago Park. 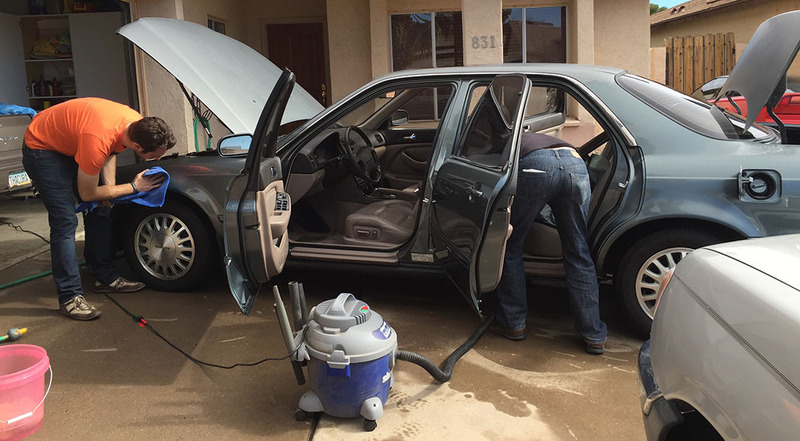 The guys helped me clean up the cars so they were ready for action. Peter came as well so he could assist with transport. 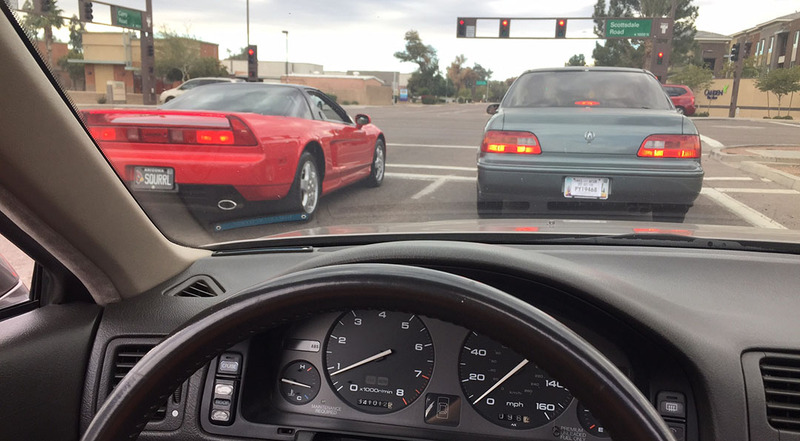 Shot taken by Jake as he was following Peter (NSX) and me (1993 sedan) to the meet venue. Can we just talk about Jimmy’s seats for a second? These have lived underneath sheepskin seat covers since new! Group shot – missing a couple folks who came later in the afternoon. 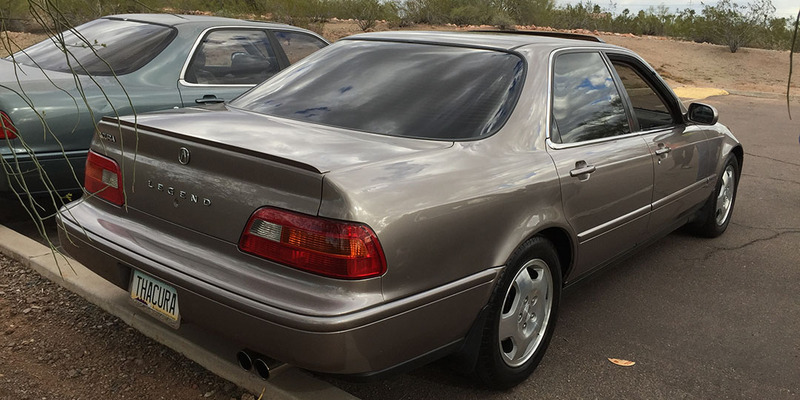 Walter showed up with the famous “Acura Legend Concept” which has been featured previously on the blog. 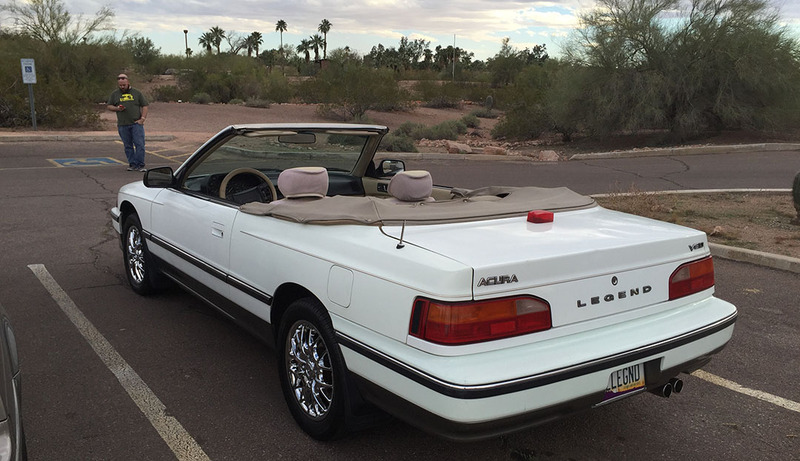 And Chuck brought his 1988 Legend ragtop (custom)! Chris got a taste of Vigor-ous driving today. I sent him to the hills near Superior and Miami off US Highway 60, but snowy weather proved treacherous! 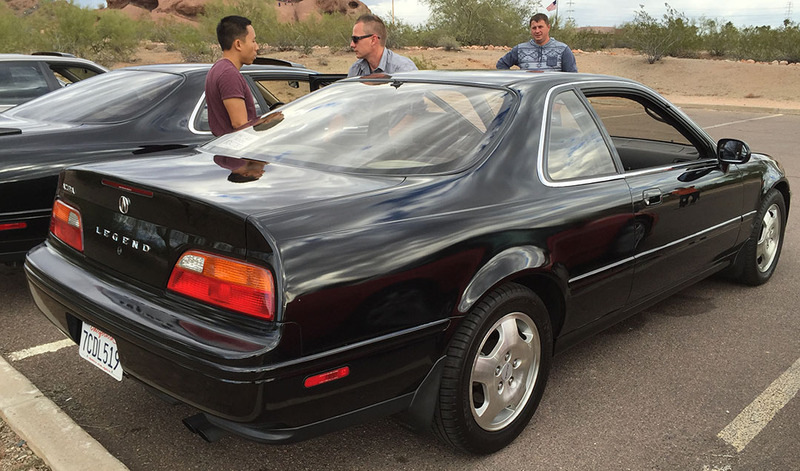 What a whirlwind weekend of car craziness. Huge thanks to my friends near and far for taking part in it with me, whether here in person or via the blog. Adios for now. Edit: Almost forgot to share – here’s the final (extended) version of that Super Bowl Commercial teaser I showed you last time! This entry was posted on February 1, 2016 at 6:12 pm and is filed under Arizona, Legend, Milestones. You can follow any responses to this entry through the RSS 2.0 feed. You can leave a response, or trackback from your own site. Loving seeing that 1G ‘vert again! (But you already knew I’d say that.) Great coverage of an epic weekend, Tyson. Thanks Mark, and yes – I could’ve guessed you had the hots for that little ’88! Chuck drew a crowd when he made his entrance. That is such a fun car. 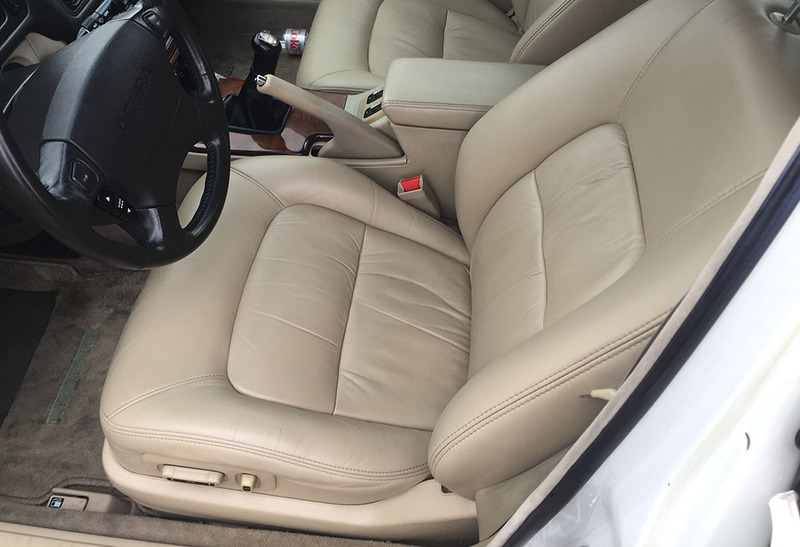 It does need some interior work; the AZ sun has taken its toll on the leather seats. He has covers on them now. This was great!!! We watched a good part of the auction on tv. 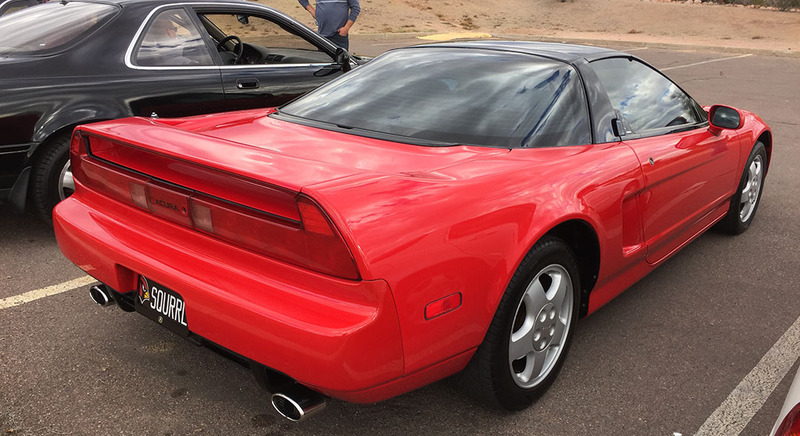 The NSX was gorgeous! Hi Sherry, it’s great to hear from you! 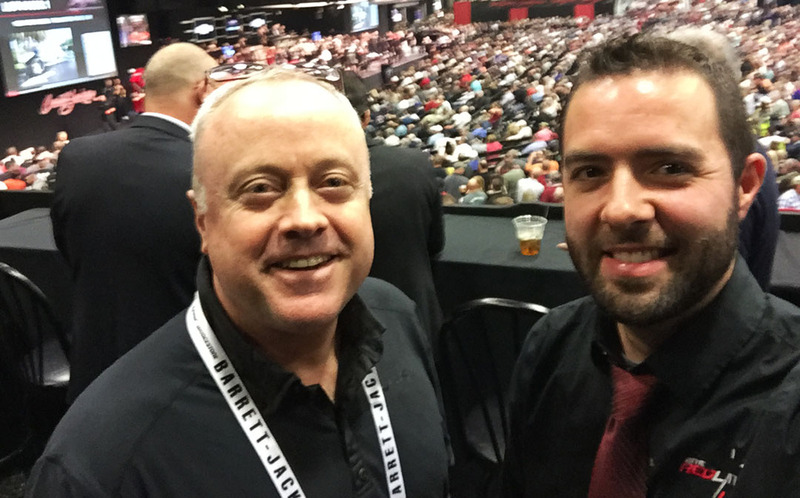 I had attended the auction before but never for a full day and it was definitely an experience to remember. Glad you guys were able to catch part of it on TV. Hope things are going well in WA – I’m past due for another road trip up that way! Been waiting for this inside scoop! Thanks Tyson! Cars for dayssss! 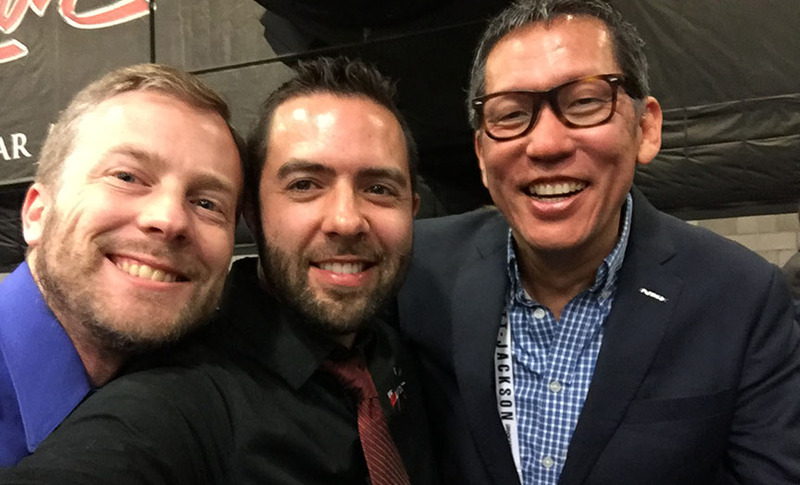 There’s so much goodness in this post that one can’t even….. Glad you guys had an exciting week! You know it, Sir Lancelot! We were in go-mode the whole time. Kind of the like the weekend when you visited recently. We need to arrange some more Huegs + Lance time soon. Thanks for the mention regarding me and the 63 split window. That car brought I believe close to $80,000. I should have been an internet bidder. But seriously, I want a NSX first. Maybe i should sign up in the NSX site under Thamo30096. Can you figure that out? You do need to create your membership on NSX Prime so you can start networking with some of the members there. I think I shared the announcement with you but NSXPO in Orlando is scheduled for the first weekend of November. I may not be making the drive, but it would be fun for you to participate if it’s within reason. Hmm, “thamo30096”? You’ve lost me! Super, super fun weekend. 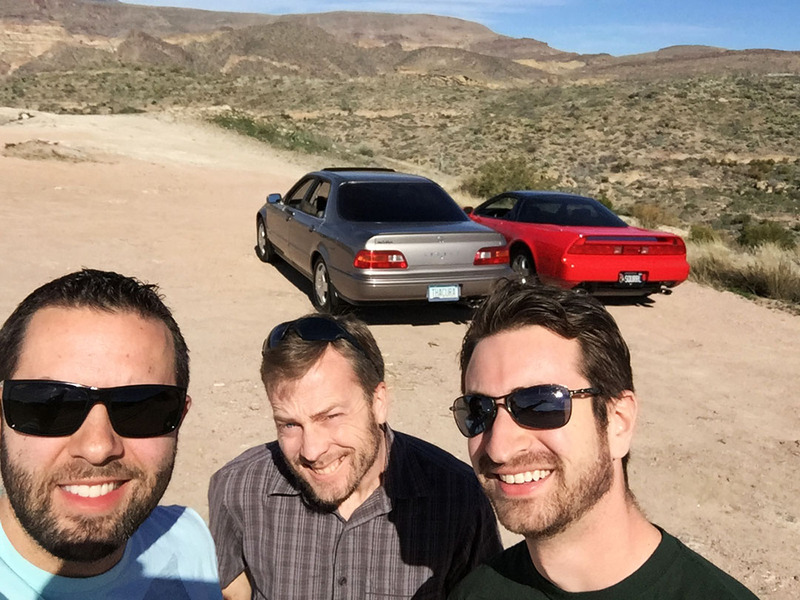 Had a blast getting away from the nearly three feet of snow we got in DC and getting a taste of both sunny Arizona and perhaps the most FWD cars I’ve driven back-to-back at one time! 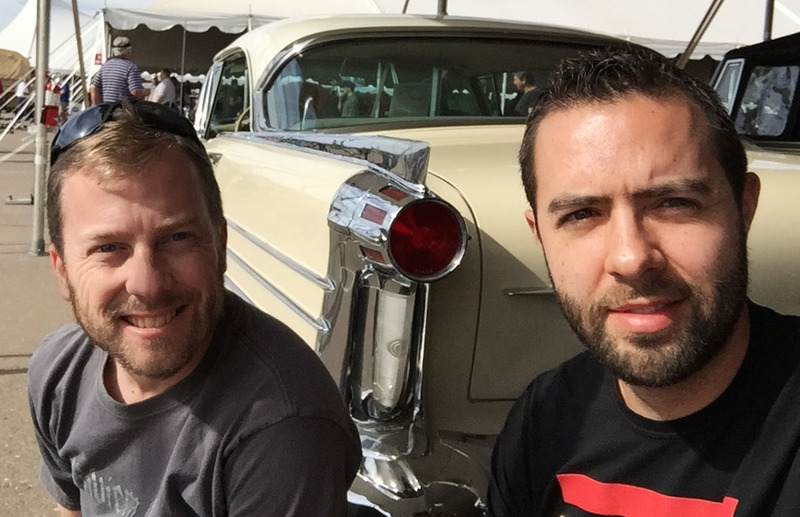 Great cars and company – really makes sitting here at the office today a bit rough! Geez, do you ever stop? Tee hee! Look at you hobnobbing with the cream of the crop! 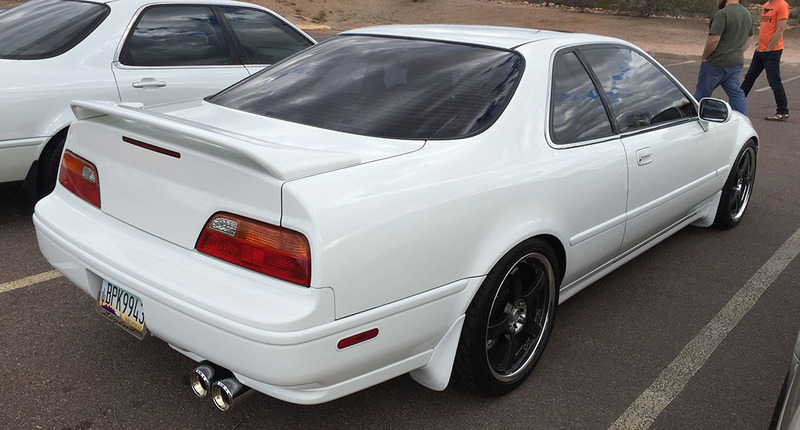 When is Acura going to put you on their payroll? Seriously — you have done more to promote them than anyone else on earth. 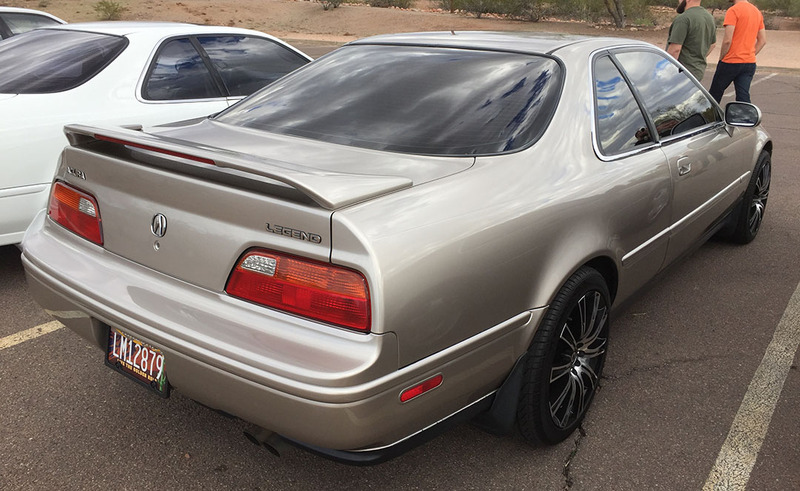 It makes me want to trade in my VW for another Acura! Be looking….. since I guess Chuck wants to keep his GORGEOUS white 1988 convertible. Wink. You already have a convertible! But I’ll tell Chuck to put us on the “interested” list! See you in a few days. Looks like you met your milestone: 503 subscribers to YouTube! Applause, applause! Such a busy weekend. It was great to see Chris and meet a new friend! Glad I was able to help uber him to your residence ;-). So many milestones this week. Do you feel accomplished? Thanks so much for handling uber duties whilst I was at B-J on Friday night! And yes, it was an extremely productive weekend! Never a dull moment. I’m jealous of your upcoming trip to Oatman. Tyson, you were right about the full-length commercial. Bonus points to Acura for including Eddie’s guitar solo! Such a gorgeous car. 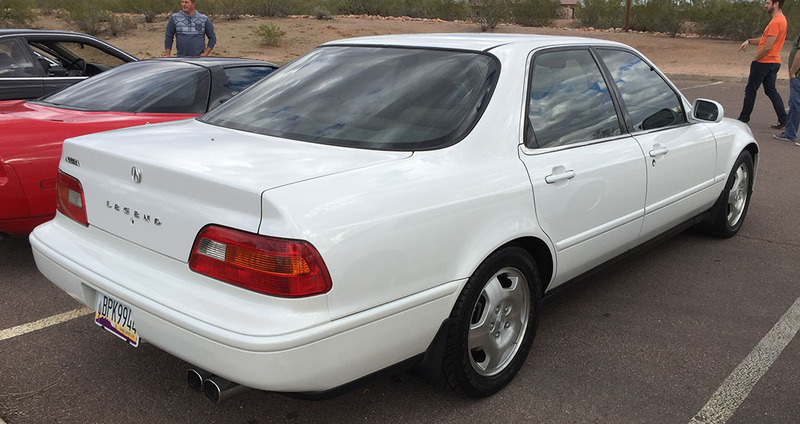 Now if I can just figure out the financing… think they’ll take my Accord coupe on an even trade? Haha, yes! Straight across ;). Worth a shot anyway! Glad you liked the final edit on the commercial. 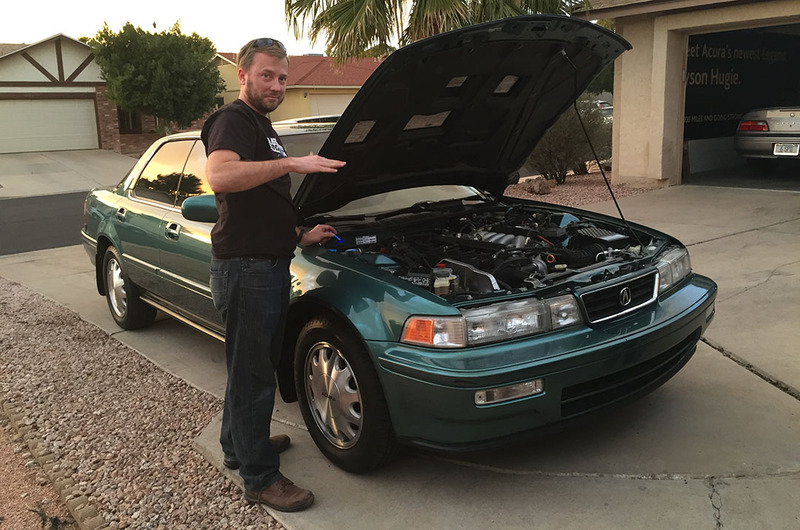 Hi, my name is Troy, i just wanted to know, how can I get a 1994 or 1993 Acura Legend to Jamaica?